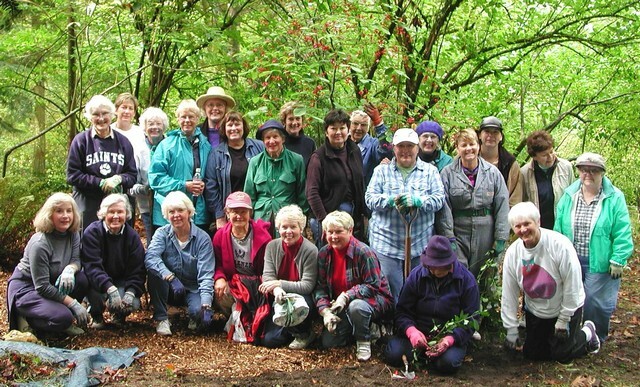 Volunteer units have played an integral role in the success of the Arboretum Foundation since the late 1930s. They raise vital funds for the Arboretum, participate in Foundation-sponsored events, increase awareness of the Foundation’s mission among the public, and provide volunteer staffing for grounds and collection maintenance. They also operate as educational resources, providing their members with opportunities to learn more about plants and gardening. There are currently 14 active units. Each one is composed of Arboretum Foundation members and typically meets monthly or quarterly, depending upon the wishes of the group. All members of units must be Foundation members! Individuals send their Foundation dues directly to the Arboretum Foundation Office, or they are welcome to sign up to become a member online. Separate unit dues may be collected to cover the costs of activities within the Unit. Funds raised by units are directed to the support of the Arboretum and its programs. A “Wish List” is available should units prefer to designate their funds to a specific project or need. 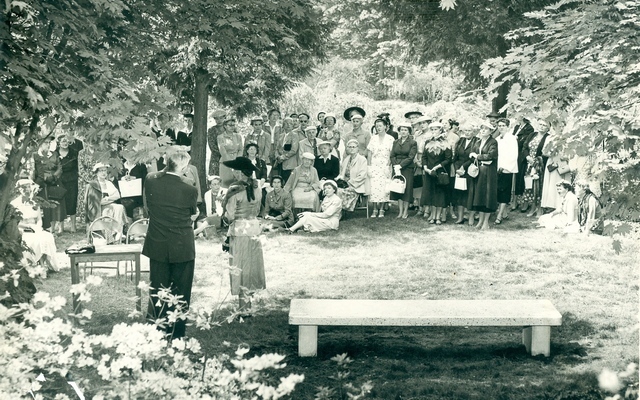 Unit 35 dedicating Arboretum bench, 1956. Each unit elects its own officers, designs its own programs, and holds separate meetings. The officers of a unit can include: Chair, Program Chair, Secretary, Treasurer, and Telephone Chair. The Program Chair is responsible for designing programs of interest to the unit, which may include lectures, garden tours, book reviews, propagation workshops, and guided tours in the Arboretum. Officers are usually elected in late spring. Units are encouraged to provide their officers with written job descriptions so that there will be continuity among these positions within the unit from year to year. Names of officers, as well as a complete up-to-date roster of members, should be sent to the Arboretum Foundation office by late summer. 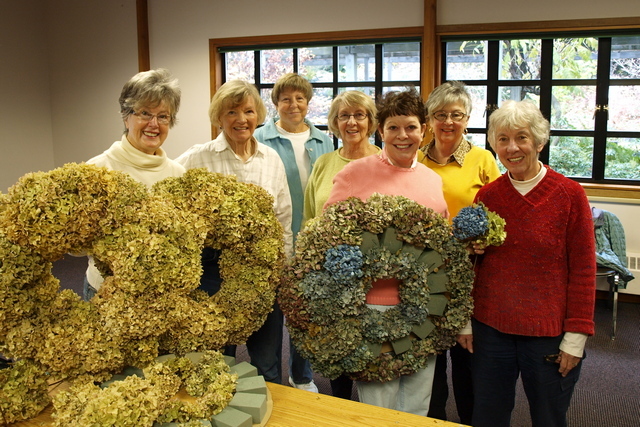 Unit 96 making wreaths for Gifts & Greens Galore, 2010. For further information about units, please contact us by phone at 206-325-4510 or email at volunteer@arboretumfoundation.org.